Total Safety Services has long been trusted to provide turnaround and plant shutdown services for refineries and petrochemical sites worldwide. With over 600 plant shutdowns to our name since 2005, we more than anyone else fully understand the importance of delivering a controlled shutdown by receiving the ultimate in safety management. We can offer you cutting edge techology in a Total Safety Confined Space Entry Single Point Monitoring Systems. Our Asset Management System is also a critical key to ensuring that your shutdown costs are reduced effectively and controlled. As UK market leaders in the hiring of Breathing Apparatus, you can also expect to receive the highest quality equipment, ensuring that your budget is used in the most economical and efficient manner without safety being compromised. 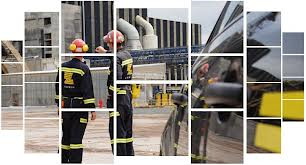 Well in advance of your turnaround, Total Safety Services’s experts will partner with your management team to plan for anticipated safety needs and requirements, contuing right through to the final completion of your shutdown. Our asset management system is tried and tested in the UK refinery industry. By electroncially logging equipment in and out during your shutdown, you are provided with full accountability of missing or damaged equipment, accurate billing for hired equipment and usage data to help plan for your next shutdown. With by far the largest airtrailer hire fleet in the UK, Total Safety Services can guarantee to meet the air supply requirements for any shutdown. Boasting airtrailers with over 110 hours of high quality compressed breathing air, Total Safety Services can provide a convenient and cost effective solution to long duration work, by minimizing interruptions to your work schedule with needless airtrailer exchanges, ensuring your shutdown is completed on time. Safety experts can be deployed on-site for the duration of your shutdown to allow around-the-clock 24 hour experise to maintain equipment and carry out training to ensure that your shutdown runs smoothly, on time and on budget. By efficiently managing equipment and training on-site, we can keep your shutdown costs under control by guaranteeing reliable equipment is always available, keeping response times down and removing the possibility of any asset management problems arising.